Farming is never a 9 to 5 job and harvest time makes late summer particularly busy. After the wheat, barley and straw carting the last crop to come in is the autumn maize. 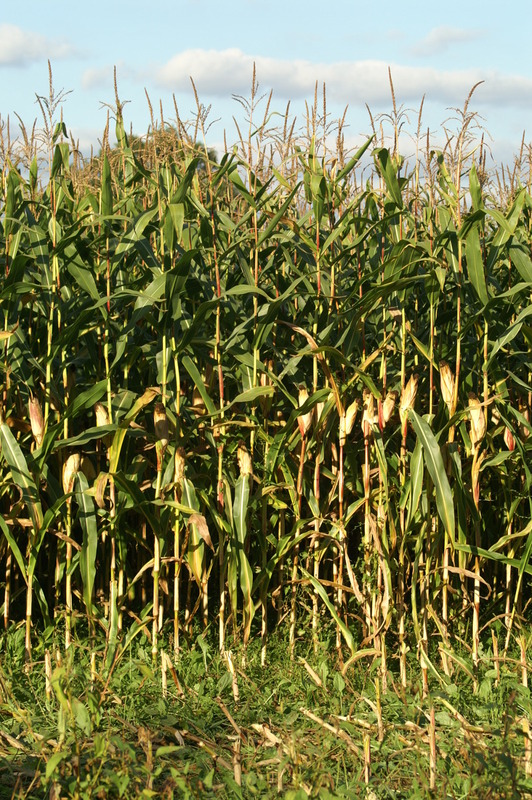 Every year, we grow two large fields of maize on the Farm. 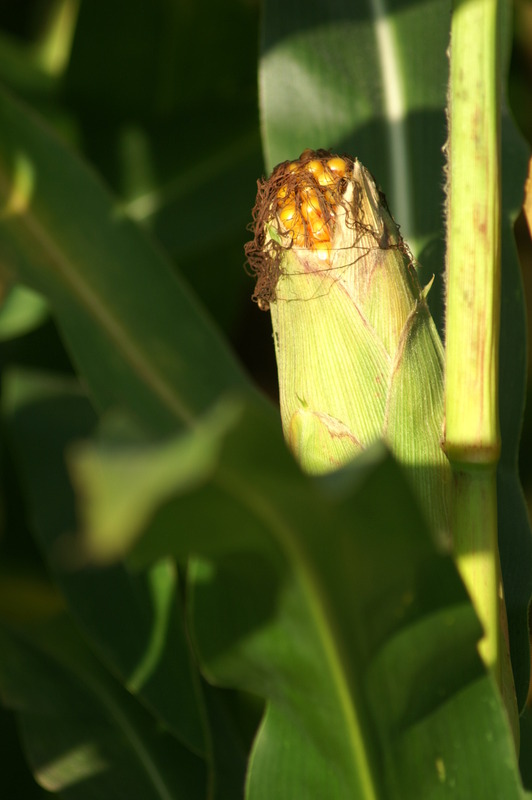 The maize grows quickly, reaching a height of over 2 metres by the end of September with lots of nice plump cobs. 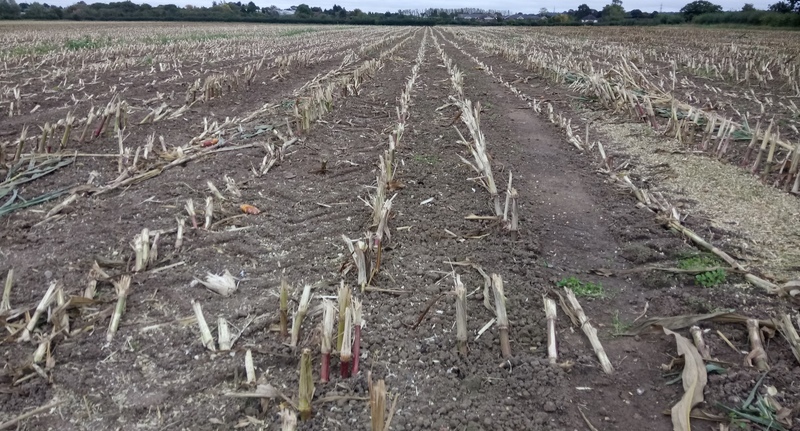 But rather then harvesting the cobs for folks to eat, it is all chopped up for silage so the girls can have their greens throughout the winter when it is too wet for them to be out grazing. 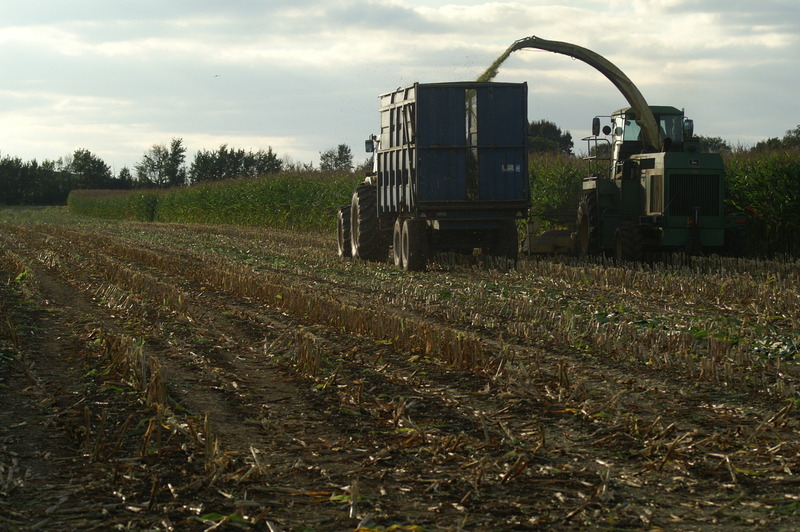 The maize needs a specialist self-propelled forage harvester to cut it so the Sell’s bring theirs over and do the silaging for us, after that the cut stems are all that is left. The loads of maize are stored in a large clamp which has concrete sides. 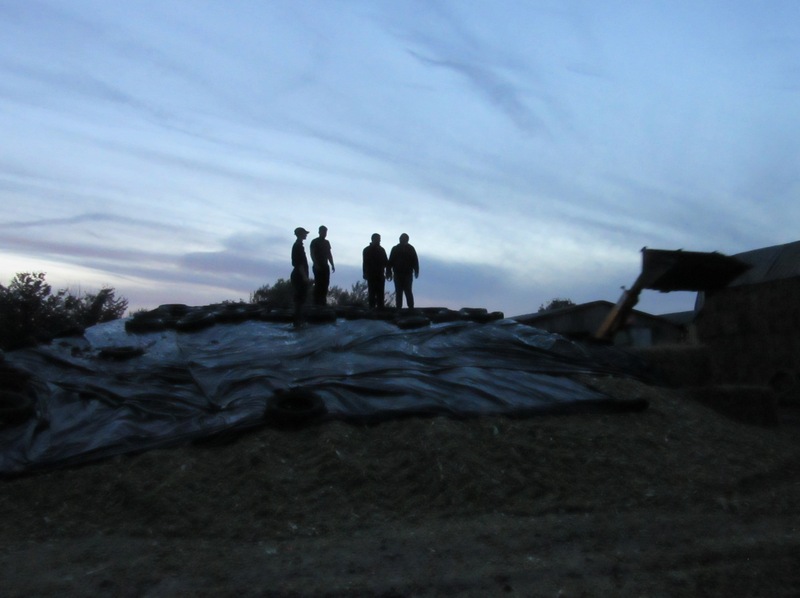 The maize is squashed down and rolled with a loader as each load of maize is unloaded. This year we had a great harvest – over 700 tons! 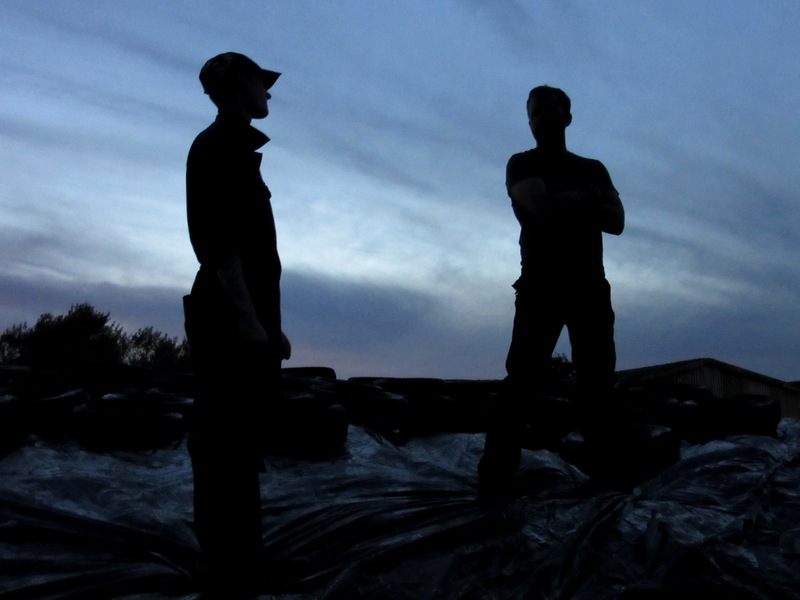 To give it an airtight seal a plastic sheet that is weighed down with used tyres are to be used as weight on plastic. All of this takes several people a couple of days and often means a late finish. Here’s the same field after harvest. Soon to be ploughed and it all starts again. 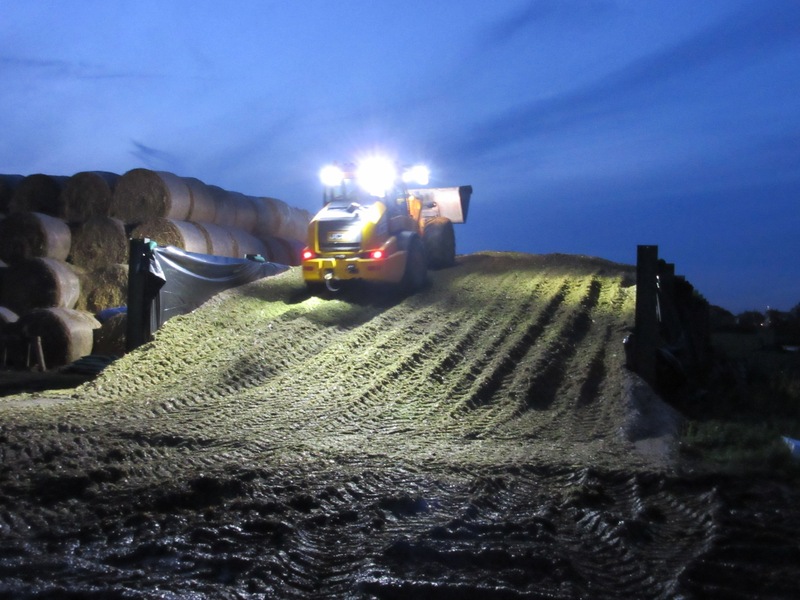 Most of the silage is fed to the cows during the winter months when fresh grass is not available. 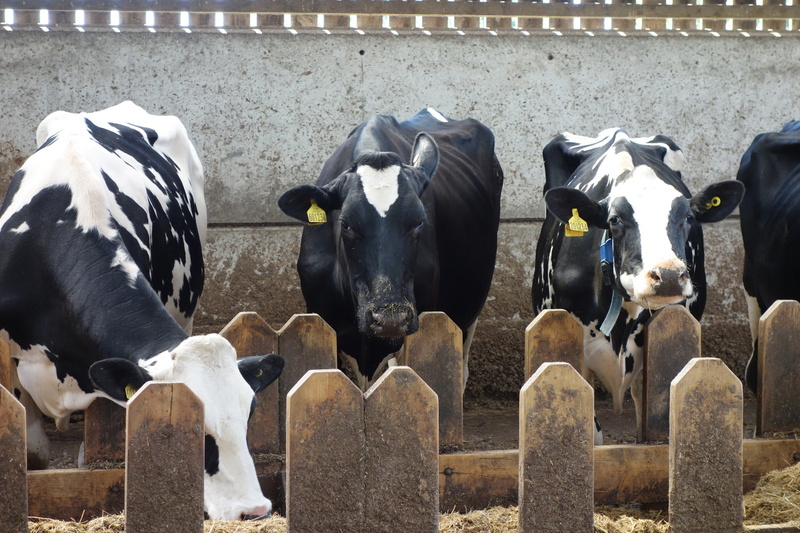 The girls enjoy some nice moo-ments eating their grub twice a day after milking.